In the spirit of Valentine’s Day, the month of February will be all about the heart. 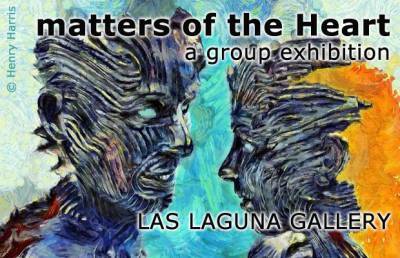 Las Laguna Gallery proudly presents: Matters of the Heart. 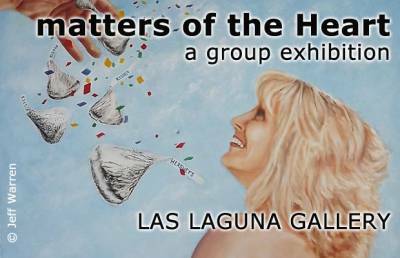 This month long art exhibition features works that not only evokes the various feelings of love (passion, affection, lust, tenderness, infatuation, etc. ), but also includes literal images of hearts. Artists include: Herman Aguirre, Andrea Cook, Tara Doherty, Nadine Franklin, Nila Frederiksen, Debbie Grossman, Jessica Hansen, Henry Harris, Jeannie Hua, Craig Hubbard, Mel Johnson, Michael King, Mis Kyrene, Huiming Li, Gail Martinez, Marie Massey, Penny McManigal, Rebecca Medel, Heather Millenaar, Mona Niko, Tommy Orosco, Victoria Pendragon, Chris Rocket, Roberta Rousos, Stacy Slaten, Helena Starcevic, Karl Tani, Oz VanRosen, Samantha Varela, Jeff Warren, Jean Wetta, Craig Wood, and Jackson Zorn. 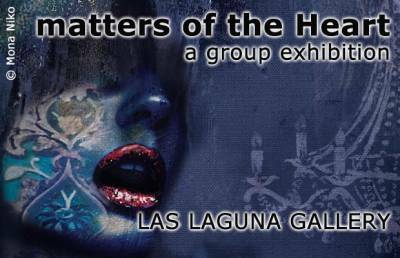 Please join us at Laguna Village in the month of February for this incredible event. The exhibition is free and open to all aged. Works selected includephotography to fabric, mixed media, fiber arts, drawings, oil, acrylic, ink, graphite, pastels, and more. Laguna Village is located in the heart of Laguna Beach and offers breathtaking views of the Pacific Ocean. Also at this location is the popular The Cliffs restaurant and a quaint artist village.